When we discover the truth about others, we find ourselves... Kate has a safe, happy, ordinary existence. Or so she thinks. When her husband Jimmy goes missing she is forced to re-evaluate every aspect of her life, and must confront the past to find a future. Kate hasn t seen her mother, Laura, for 25 years, and she cannot seek solace from her estranged father. Can Una, her paternal grandmother, provide answers about those who have seemingly abandoned her, and help her come to terms with the loss of those she loves? 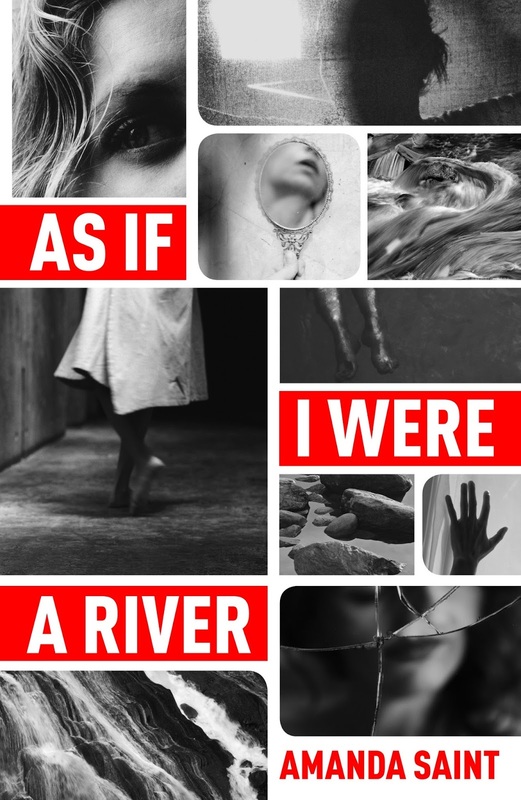 'As If I Were a River' is the emotional story of three generations of women and the impact of their actions upon each other...and themselves. It is a story of buried secrets, and of finding the courage to question the life you lead. Are we forever shaped by our past, or can we find redemption in making our own future? It is rare that I find a book outside of the thriller genre so compulsively addictive, but As If I Were a River was so beautifully written that I found it virtually impossible to put down. It is the story of three women whose stories flow together exquisitely as we untangle the threads of their lives throughout the book. Although there are three interwoven stories, they are not at all confusing and it all comes together perfectly in the end like a well followed recipe. The story starts with Kate on the night that her husband, Jimmy, pops out to the corner shop for some cigarettes and never returns. Kate is understandably distraught at Jimmy’s disappearance and even more so when Jimmy’s family almost appear to be gloating that he has left her. Kate’s sister, Julie, returns from Japan to offer support as Kate’s life spirals dangerously out of control. Between Kate’s chapters we learn about Laura. Laura appears to have led quite a sheltered life and one day meets Ken. Although she’s not quite 18, Ken takes her to the pub for a drink and there’s a really lovely moment when she doesn’t know what to order and gets her first taste of a pint of bitter, described in a way that made my beer-loving mouth water. As tragedy strikes, Laura has to grow up quickly and soon finds herself married with two children at the age of 20 and feeling like she has missed out on her life. Struggling to make sense of her life, Laura makes some decisions that have serious repercussions for herself and her whole family. Finally, we are introduced to Una. Una is the oldest of the three ladies and holds the key to some surprising family secrets. Secrets that can provide answers for Kate and Julie and take them on a trip around the world to New Zealand, with an ending that brought a tear to my eye, confirming how emotionally invested I was in the characters. As If I Were A River is an absolutely outstanding debut from Amanda Saint. It is written so beautifully that I couldn’t help but form an immensely strong emotional link to the characters as their journey unfolded. As If I Were A River is something so completely out of the ordinary that it warrants every single one of the five stars that I have awarded it. I received this e-book from the publisher, Urbane Publications, via NetGalley in exchange for an honest review. Thanks for visiting my blog, Jackie! Let me know what you think when you have read it.